The Lions completed their fourth season with a record of 42-12. The Lions advanced to the South Central Super Regional Tournament for the first time in program history after winning the program's first South Central Regional Championship. The program's accolades reached a new high, which included six All-LSC team selections, three Golden Glove selections, two LSC All-Academic awards, LSC Player of the year, nine LSC player of the week awards, three National Player of the week award, two All-American awards, and one National Player of the Year Award. The Lions led the nation in on-base percentage and was in the top-10 in the country in home runs, slugging percentage, runs scored, batting average and stolen bases. The pitching staff set program bests for opponent batting average, fewest hits allowed, fewest walks allowed and fewest runs allowed. The Lions earned its first ever top-25 national ranking, being ranked in all 13 NFCA polls, reaching as high as No. 6 in the nation. Coach Bruister has built the program on the foundation of winning the National Championship and winning the highest team GPA in the country in the same season — building and fostering student-athletes. 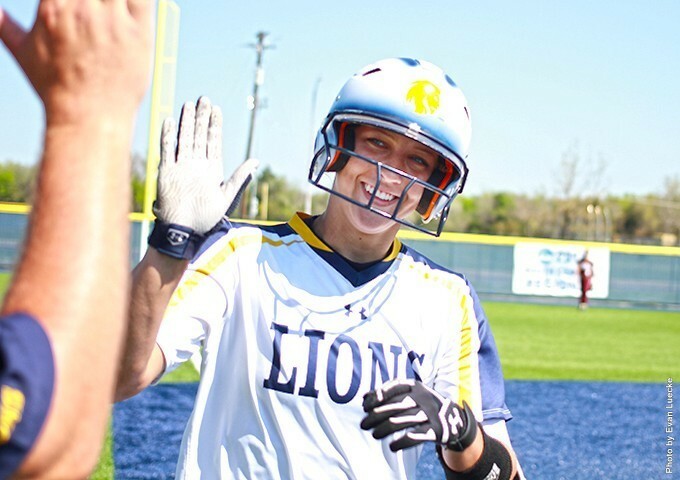 The newly minted John Cain Family Softball Field opened its gates for the first time February 1 for the A&M-Commerce doubleheader against St. Edwards in the softball program’s first game of its inaugural season. The stadium seating, comprised of general admission and reserved seats, holds 800 with extra room for standing, including a picnic berm in center field. The facility includes three turf batting cages complete with a drill work area. The home and visitor sides each have bullpens. The dugouts are in-ground with a restroom conveniently located in each. These player showcases are open to any and all participants. Per NCAA bylaws, representatives of athletics interest (boosters) are not allowed to pay camp fees for any prospective student- athlete. By registering for this camp you are verifying that all camp fees have/will be paid within NCAA regulations. If you have any questions please contact the Texas A&M-University Commerce Compliance Office at 903-468-8769.